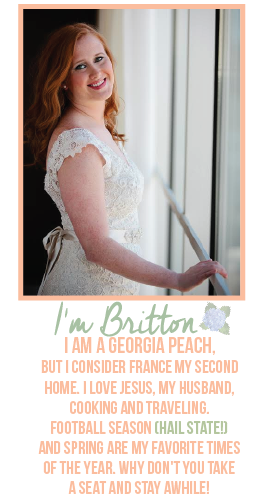 Southern Wife with a French Twist: Who do you think you are? Is anyone else intrigued by that show on TV or is it just me and my husband? I have always loved learning about my family history and where my ancestors are from. Luckily for me, I married a man who is just as interested in this as I am. I am fortunate and already know a lot about my family history due to other family members researching in the past. I guess you could say I have always had a pretty good idea about where my roots lie. A few weeks ago Pat, his mom and I all did DNA tests through Ancestry.com. Through these DNA tests they can break everything down and find out exactly where your ancestors lived. They break it down by region and give you a percentage of how much your DNA matches those regions. My results came back a lot faster than Pat's and his mom's. I guess their family history is a little more complicated then mine. Pat thought it was hysterical that I possibly have some sort of Asian background since I am not a huge Asian food fan. On the other hand, I found it hysterical that I am considered "more British" than a person who is actually British. I didn't learn anything too earth shattering from this test, but I love that I can now be scientifically linked to the information that my family found years ago. Makes it seem more official, I guess.